Greetings from South Korea! From the short time I've spent here so far, I've noticed that South Korea is extremely innovative and tech savvy - they have ideas here that America needs to adopt (like their public transit system). 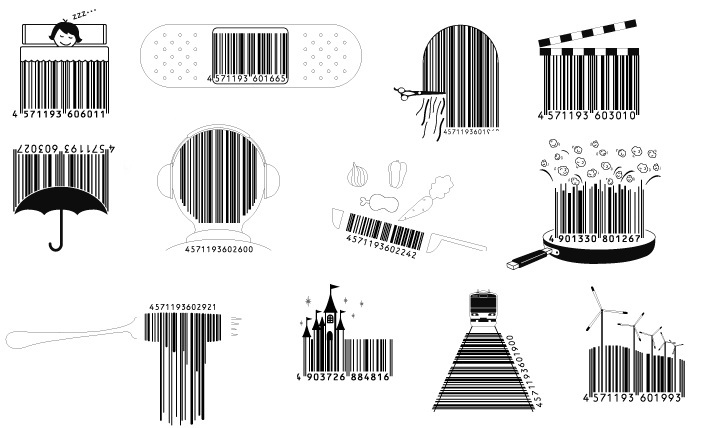 One such innovation I've recently heard about, coming from Japan, is the bar code revolution that is the brainchild of Design Barcode. Although most of their clientele are Japanese brands, their ideas are now beginning to spread to the U.S. Although redesigning bar codes into creative icons (more examples here) isn't a necessity, it's innovative and unique, and quite frankly they make me smile. Although they aren't cheap for brands to buy, they spice up the prime product real estate they use. Good thinking Japan!